(1)本書注重《聖經》的一貫性、完整性，藉以經解經說明新、舊約關係之密切，且希望讀者讀完本書後，能對《聖經》獲得若干程度完整性的概念。(2)本書完全偏重《聖經》實例的解釋，因《聖經》基本上是教導人如何遵行神的話，是實行神旨的書，不是滿足人之理性的書。《聖經》中的理論與辯解，也都是為教人如何遵行的。(3)本書不引用或批判歷史上眾神仆的解經，因他們對自己的主張，既無法再作任何解釋，而後人對他們的批判，又未必完全客觀或公平，或舍長取短，或斷章取義。然後又把現今異己之見解，歸為已判定是錯誤的歷史先例之中，不容置辯。結果容易使人以歷史上神學家之見解為衡量解經之標準，而輕忽了重回《聖經》真理方面加以思考。(4)本書注重新約如何引用舊約。並認為新約《聖經》中的主耶穌與使徒，既然是希伯來人所生的希伯來人，又在舊約《聖經》的文化薰陶下長大，他們對舊約的引用和領會，就是解釋舊約的最大權威，最有力的根據。此外，沒有更大的權威。5)本書認為正確地留意上下文與《聖經》之一貫見解的"以經解經"，就是最穩妥的解經原則。因為這是所有人都能運用的原則(除非有基督徒自己不肯這樣研讀《聖經》)。《聖經》既是給曆世歷代人的一本經書，它必然是所有"從神生"的人都可以讀得明白的書。絕不是只有某些特別階層的人才讀得明。若有人不明白《聖經》，是因他不肯倚靠聖靈的指教去讀，不肯付出必須付的代價去讀，不是不能明白。(6)本書重視《聖經》中的歷史背景，看作是遠較《聖經》以外的歷史背景更有助於正確的瞭解《聖經》的根據。任何歷史的片斷被選記在《聖經》中之後，最重要的不是當時的風俗習慣如何。讀《聖經》的人不應規限《聖經》所引用的歷史片斷，只許有當時習俗之意義，而忽視了《聖經》選記該片斷史事的目的所要說明的是什麼。(7)本書認為某些經文，必須按屬靈的實意(即靈意)領會，且是《聖經》自己的釋經法。按屬靈的實意解經，絕不是人意或私意的解經，不該相提並論，更不應借醜化靈意影射屬靈。本書對預言解釋，較一般更強調應按字句實意應驗，不應隨意象徵化，或憑人意推理化。書中列舉不少這類例解，亟待主內兄姊賜正。(1)pay attention to the book "Bible" consistency, integrity, in orderto explain the new interpretation by the Old Testament of the closerelationship and hope that readers after reading this book, can beon the "Bible" to get some degree of integrity concepts. (2) Thebook is completely biased interpretation of the "Bible" instance,because "the Bible" is basically to teach people how to comply withGod's Word, is the implementation of the purpose of God's book, notto meet the people's rational book. "Bible" in theory andjustification, are also to teach people how to comply with the. (3)does not refer to or criticize the book on the history of the godsservant exegesis, for their support of their claims, then neitherany explanation, then people criticize them, they may not beentirely objective or fair, or taking short relinquish strengths orout of context. Then again today alien's opinion, in the finaljudgment is wrong as historical precedents among unequivocal. Theresults people are likely to view the history of theologians, asmeasured by the standard solution, and the neglect of the return tothe "Bible" Truth regard to thinking. (4) focus on new book abouthow to refer to the Old Testament. And that the New Testament"Bible" in the Lord Jesus and the apostles, since it is the Hebrewof the Hebrews, but also in the Old Testament "Bible" culturenurtured grow their Old Testament references and understanding,interpretation of the Old Testament is the greatest authority,according to the most powerful. 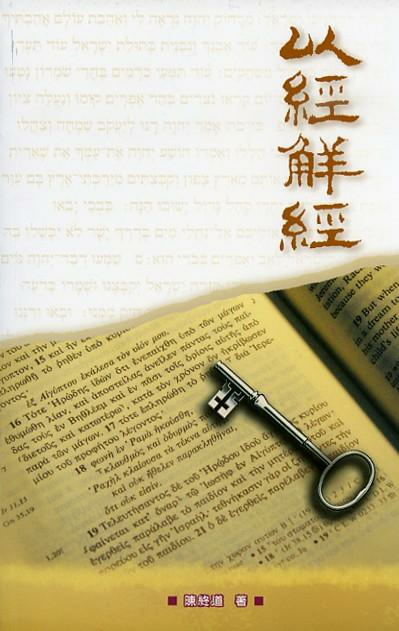 In addition, there is no greaterauthority.5) The book argues that with proper attention to thecontext of the "Bible" of the consistent view of the "de-Jing", isthe most secure principles of interpretation. Because this is theprinciple everyone can use (unless there is a Christian does notwant to read this "Bible"). "Bible" is the man for the ages of oneby the book, it must be all "born of God" who can read the book tounderstand. Is not only some particular class people read out. Ifpeople do not understand the "Bible", because he refused to trustin the Holy Spirit enlighten read, refused to pay the price to bepaid to read, can not understand. (6) pay attention to the book"Bible" in the historical background, is seen as far morehistorical background of the "Bible" more than help correctunderstanding of the "Bible" according to. After the pieces of anyhistorical record is selected in the "Bible", the most importantthing is not how the customs of the time. Read the "Bible" of thepeople should not be subject to the "Bible" piece of history cited,we can only have meaning at the time of customs, while ignoring the"Bible" of the election in mind what is the purpose of thefragments of historical events to be described. (7) The book arguesthat certain passages must be real spiritual meaning (ie,spiritually) comprehend, and is the "Bible" own exegesis. Realmeaning by spiritual exegesis, not a selfish person intended orexegesis, should not be compared, and should not vilify spirituallythrough spiritual mapping. This book of prophecy interpretation,more general wording should be more emphasis on real meaningfulfilled and should not be arbitrary symbolic or reasoning withpeople of Italy. The book lists a number of these cases thesolution, urgently Lord give positive siblings. 提供各類聖經經文，包括安慰之言、日常生活等等。收錄超過300節聖經經文，點選經文即可選擇複製或分享。無需網絡、免費及無廣告。支援繁體及簡體中文。Offersa variety of Bible verses, including comforting words, daily lifeand so on.Collection of more than 300 Scripture, click to selectthe text to copy or share.No network, free and noadvertising.Support Traditional and Simplified Chinese. 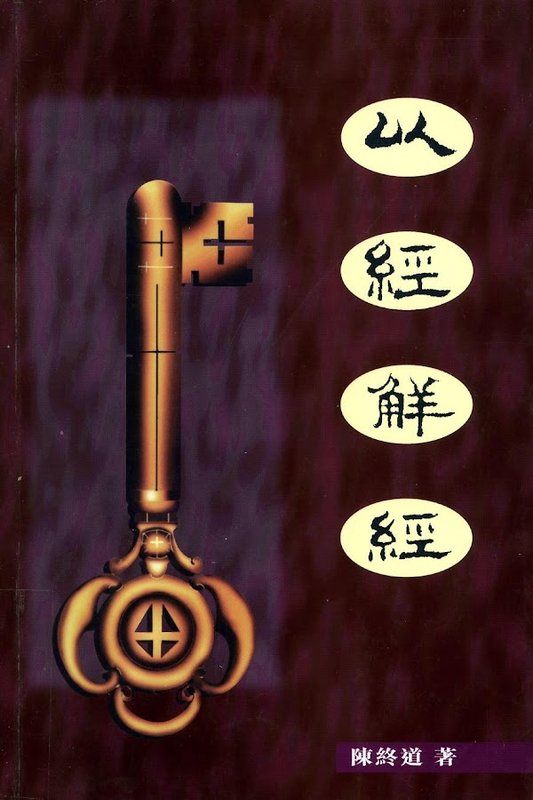 願榮耀歸給神，懷舊版本重新出發！功能及特色：● 聖經版本:繁體中文和合本。 ● ((((~離線也可以快速閱讀~))))●特色：快速直覺、功能簡單明瞭。● 日夜閱讀模式切換。● 經文書籤存取、搜尋、複製及分享。●讀經頁面用手指左右滑動可以快速更換章篇喔！● ADMOB廣告，請幫忙點選支持，感謝！● 也有iPhone版本喔，請這AppStore搜尋"快速聖經"。沒錯！快速聖經就應該簡單、明瞭、單純才合乎當初設計的理念。經許多人反應對於舊版快速聖經的想念，在此重寫了一個全新的"瘦身"版本，版面及功能皆簡單明瞭，希望各位喜歡。聖經詩篇/ Psalms 144:1 耶和華─我的磐石是應當稱頌的!他教導我的手爭戰,教導我的『指頭』打仗。祝大家能好好使用快速聖經,且能夠隨跑隨讀、用指頭打仗! 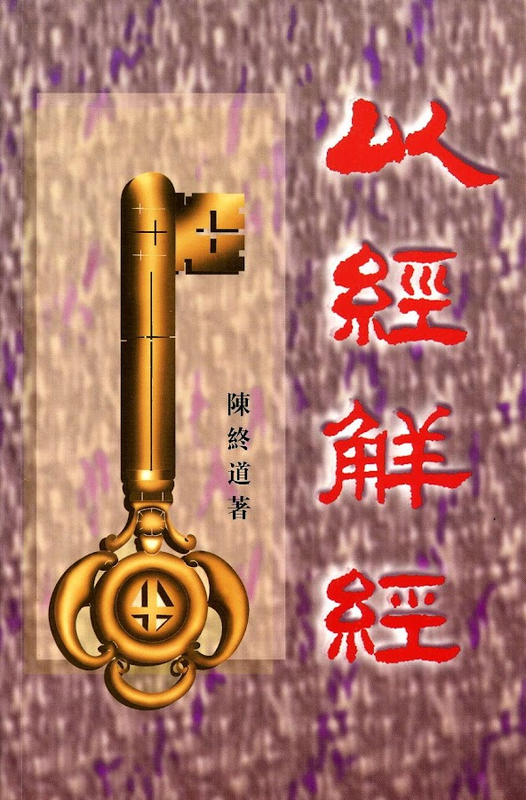 (廣告部分：若希望能安靜讀經不受廣告干擾，程式設定為網路關閉後廣告就不會出現了！)關鍵字搜尋：【快速聖經】小小說明：最初版的快速聖經所使用的配置及程式已過時，有些程式設計方法已不能使用，經文也含較多錯誤，故此版本並非根據最初版之基礎寫出，也非用多功能的新版再改造，而是個拔地而起的全新設計！在各位代禱之中，快速地完成了。喜歡多功能新版的朋友，也可以至此下載：https://play.google.com/store/apps/details?id=caleb.simplebible_t_android_googleplayGloryto God, nostalgic version of the re-start!Functions and Features:●Bible Version: Traditional Chinese Bible.● ((((~ ~ offline canquickly read))))● Features: fast intuitive, featurestraightforward.● night reading mode.● scriptures access bookmarks,search, copy and share.● Reading slide your finger left or rightpage can be quickly replaced Chapter piece Oh!● ADMOB advertising,please help us by clicking support, thanks!● There are also iPhoneversion of Oh, please find this App Store "quick Bible."Yes! FastBible should be simple, clear and simple design was in line withthe original concept. Many older people through rapid reaction tomiss the Bible, this rewrite a new "thin" version, layout andfunctions are simple and clear, I hope you like it.Bible Psalms /Psalms 144: 1─ the Lord my rock be praised! He trains my hands forwar, taught me "finger" to fight.I wish we can make good use of theBible quickly, and can be run with reading, with fingers forbattle! (Advertisement section:! If you want to quiet readingad-free, the program is set for the ad will not appear on thenetwork after the close)Keyword Search: [quickly] BibleLittleExplanation: The configuration program and the initial version ofthe Bible used by the rapid obsolescence, some programming methodscan not be used scriptures also contain more errors, so theoriginal version was not written according to the basic version,nor multifunction the new version of the re-transformation, but anew design where they stand! In intercession among you, quicklydone. The new multi-functional like a friend can also be downloadedto this: https: //play.google.com/store/apps/details id =caleb.simplebible_t_android_googleplay?